Man vs. Shark … Who’s the Real Predator? Three Smithsonian Channel Programs on DVD July 22nd! The Smithsonian Channel’s Shark Collection includes three exciting programs that take you from Australia’s Great Barrier Reef to the remote shores of Africa’s east coast to the operating room of a shark autopsy to explore what makes these fish so unique. In Great White Code Red, two scientists dissect a shark to reveal what drives this fearsome animal to attack. Shark Girl follows activist Madison Stewart’s mission to save the creatures she loves by changing people’s minds about them. Death Beach investigates an abnormal string of shark attacks off a South African coast. My son's favorite animal these days is Sharks so I knew he would love this DVD and he DID! My husband and my son were glued to the screen and fascinated with all the facts they learned about Sharks! 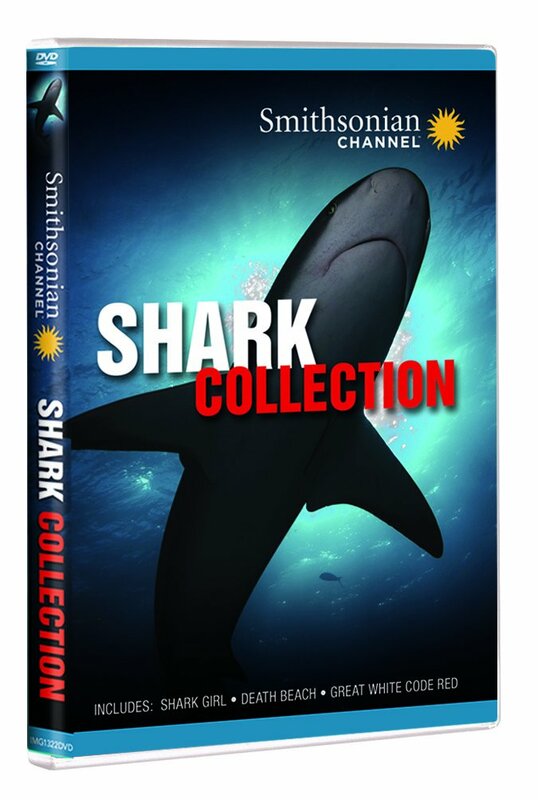 This Shark Collection DVD is very interesting, fact filled and enlightening and it was a huge hit in our house!